Okay, I know it's Saturday & this is a Book Share Wednesday Linky, but I've been down with a fever & more (won't go into the gory details) for the last 5 days!! Today's the first day I can actually sit up; yay! 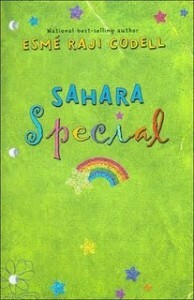 Anyway, the book I'm reading as a read aloud to my class right now is Sahara Special by Esme Raji Codell. It's the first time I'm reading it and my class is LOVING it! This book will make you (& your students) laugh out loud, gasp, become teary-eyed, and cheer for this heroine. Although at first it was difficult for many of my students to relate to Sahara’s tough neighborhood and type of kids, Ms. Codell writes in such a way that my class was quickly hooked into following the characters. Sahara practically lives at the library after school, reading voraciously and writing her life story, Her Heart-Wrenching Life Story and Amazing Adventures, but she refuses to read, write, or do any work in school. So she is put in Special Ed and taunted by her classmates as Sahara Special. By the end of fifth grade, her mother insists she be taken out of Special Ed and flunked if she is not doing her work. So the next year, Sahara is back in a regular fifth grade class, and although she won't be Sahara "Special" anymore, she doesn't expect much to be different...until she meets the new 5th grade teacher, Miss Pointy. She is unlike any teacher the class has ever met! From her eggplant-colored lipstick, to her wacky clothes; think of a zanier version Mary Poppins meets Miss Frizzle (Magic School Bus series), Miss Pointy is different. And Sahara takes notice and begins to have hope that things WILL be different. I just found this short book trailer (1.25 minute video) that would be great to introduce the book to your class! You can find it here. Thanks so much to Melissa at Dilly Dabbles for this Book Share Link Up!! I'd love to know some of your favorite books to read to students!! 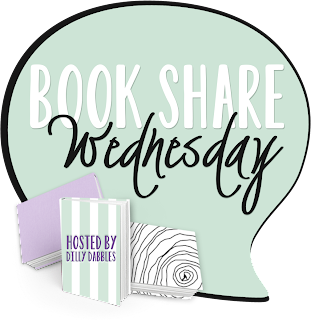 Thanks so much for linking up and sharing this book. It's a new one to me and sounds like a great one. Thanks! I always love hearing about new books & I can't wait to hear more next month!